Hope you had a good weekend and had some time to craft or do something you love. 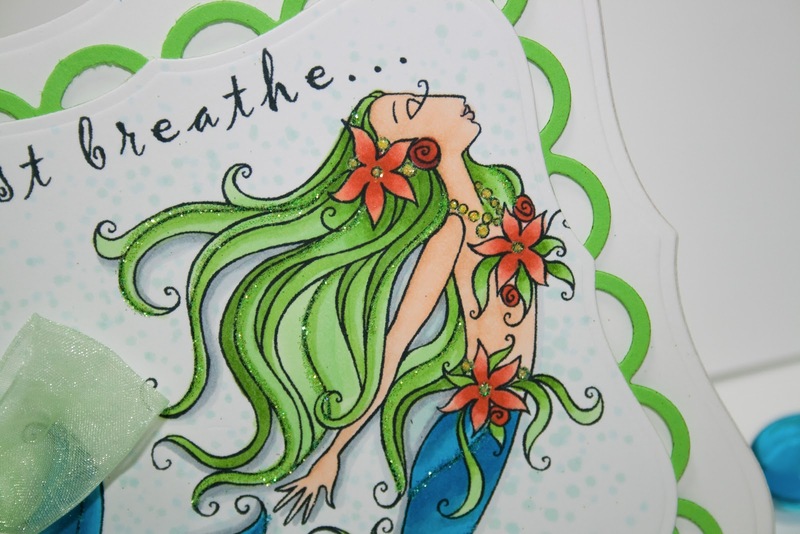 I found these digital stamps of mermaids and fairies, by Michelle Perkette and fell in love with them. I bought this one and think I will have to back and buy more. I knew I was going to use green on the mermaid and decided she needed green hair. 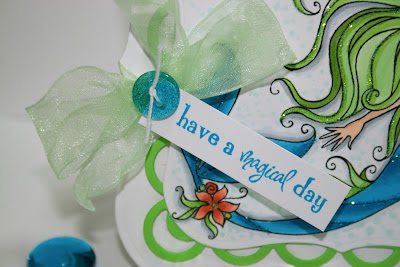 I used YG11, YG13, & YG17, them highlighted it with Spirited Green Glitter from Sparkle N Sprinkle. The flowers are colored with R11, R12, & R15 with Y13 centers and Lemonade Glitter. The tail is colored B12, B14, B17 and Rapture Glitter. For the background I use BG10 & BG000 and just made dots. For the shading I used C1 & C3. It was cut out with Spellbinders Label 1 and the Lacey Squares. The card base is a shaped card and used the Grand Label 1. 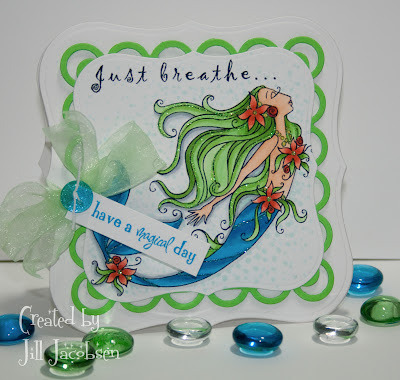 The sentiment is one from Stampin' Bella that I've had for a while. Thanks for stopping by and enjoy this day the Lord has made! Very lovely card, Jill. I love this mermaid. You did a great job! 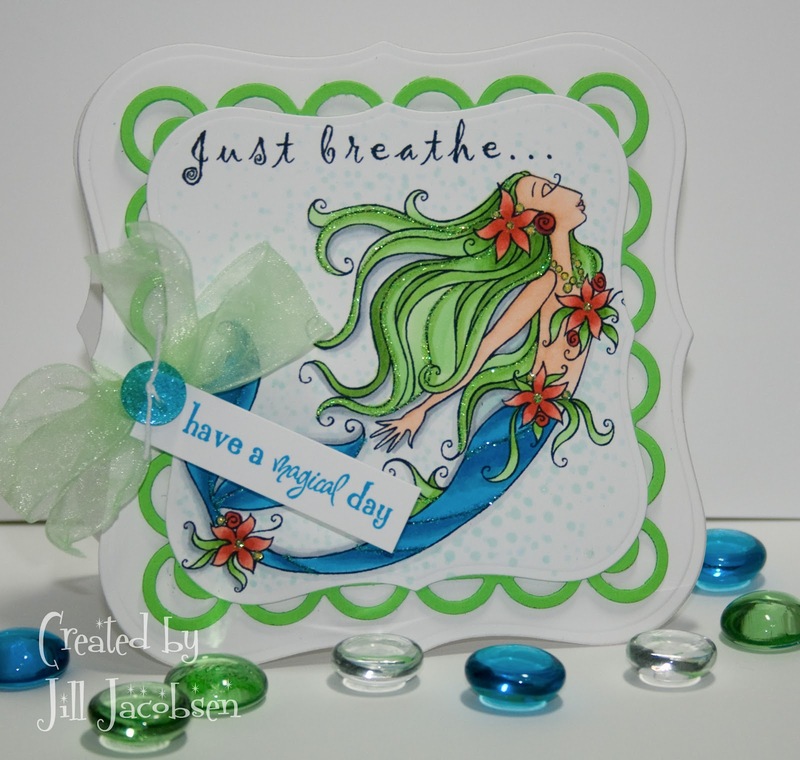 Love your coloring on the mermaid! So cool! whoops, not very good at this...that was me before.